As a country, we have committed to greater access to education for all children. The importance of early childhood education (the first five years of a child’s life) to improve children’s capacity to learn and thrive is now firmly on the national agenda. Even the significance of prenatal care is making inroads in our attempt to give children the best start in life – right from conception. But what use are these building blocks if we are not investing the same amount of energy and forward-thinking into keeping our children in school? 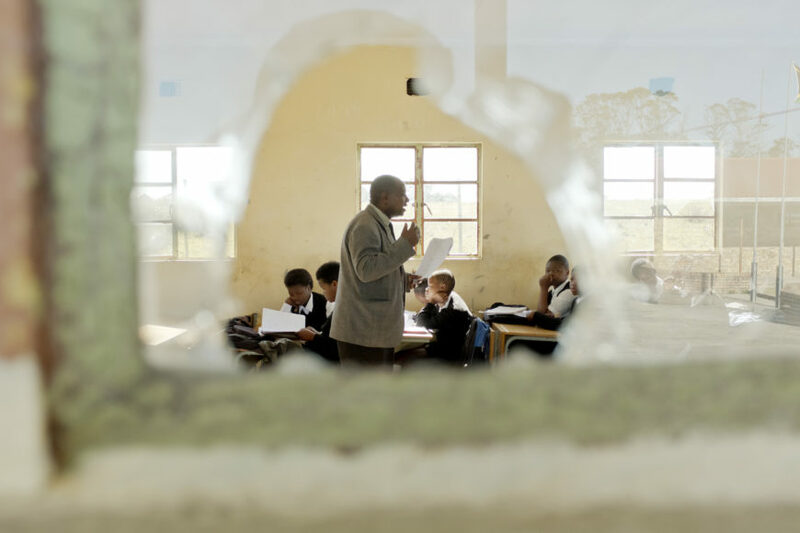 Studies show that over the course of primary and secondary school, we lose 45% of learners – they never make it to Grade 12, much less write a matric exam. While it may be legal in South Africa to exit the school system at the end of Grade 9, we know that young people without a matric are those who struggle most to find a job. To makes matters worse, further educational opportunities are scarce for those who don’t matriculate – only 1% of learners who drop out of school go on to study at colleges. Next, they have to make the journey to school. For many, it is difficult and unsafe – either requiring long distances on foot (sometimes over 10kms each way in rural areas) or waiting in long queues for multiple bus and taxis rides. This is on good days; on bad days, the weather, transport strikes, or taxi violence will make the journey even longer – and even more dangerous. Children on the Cape Flats, for example, have to choose their routes carefully in case a stray bullet comes their way. So, by the time the first school bell rings – if children manage to make it in time for the first period at all – they’ve already depleted much of their reserves. Now they are expected to sit in loud, large classes with as many as 60 learners in one class. The walls of the school are often completely bare, and there are bars on the windows. Add to this the immense pressure on teachers to stick to the curriculum, and the result is largely unimaginative lessons that are rushed; leaving many children behind or simply losing their interest along the way. Sometimes children have to run the classes themselves because their teacher is not present. A study released by the Centre for Development and Enterprise in 2017 revealed that learners lose about 40% of learning time every year because of teachers skipping classes. Then there’s bullying and violence to contend with. A 2015 survey found that 48% of Grade 5 learners in no-fee schools in South Africa reported being bullied weekly. Another study notes that extreme levels of sexual violence are experienced by girls not only commuting to school but also during school hours – by teachers and classmates, with little in place to hold their educators to account. And despite being banned more than 20 years ago, many teachers continue to use corporal punishment in the classrooms, even for minor of transgressions, such as being late. Once the final bell rings for the day, learners still have to face the long journey back home, only to come home to an empty house, a mound of homework, and for some, a violent home. A longitudinal study that followed a cohort of children over two decades found that 99% of more than 2000 children born in 1990 had been exposed to violence between birth and age 22 – either in their home, community or school. With no one around to help, and often with household chores or childcare duties also to tend to, schoolwork drops to a low priority. When we add up these experiences, we begin to get a more accurate picture of what it’s like to be a learner in SA. It comes as no surprise then that by high-school our learners are running on empty, with school dropout peaking in Grades 10 and 11. This may seem like a picture of doom and gloom, but it’s also a picture of immense resilience, courage, hope and opportunity. Every day, children are showing up at school, despite the odds. And they show up over and over again for many years, some for 16 years – until all the things that weigh them down finally force them to sink. Dropout is, therefore, less of an active choice, and more of a culmination of the many factors that work together to push our children out of the school system. But this doesn’t have to be the case. For 5-7 hours, five days a week, we have learners within our reach. Let’s use this time wisely. Let’s acknowledge the reality in which children live, and hold their wellbeing at the centre of every decision and policy we make. Let’s create moments of relief for them where they feel acknowledged, supported and safe. Let’s be mindful of the language we use, and build simple loving connections within our schools. We may not be able to change the broader and deep-seated constraints that children and young people are up against in the short term, but we can protect the time we do have with them – and ensure that schools are deliberately recognising the obstacles they must constantly overcome to just make it through the day.